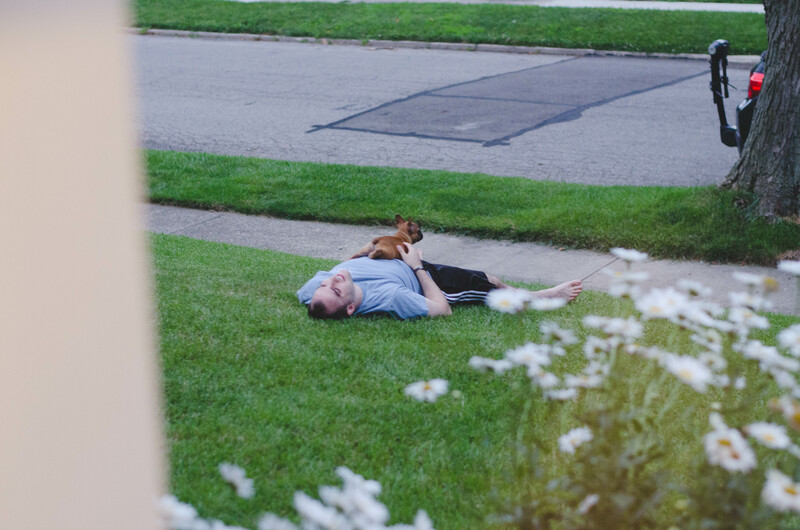 I came home from work tonight & Ben took Moose out for a little potty training and playing – and this was what I saw when I peeked outside! Just a man & his dog. Seeing these two together makes my heart swell with love and happiness. Also, I’ve said it before and I’ll say it again – somehow we got the cutest dog in the entire world. Sheesh.